a Layout customization A4, A5, A6. CRMTiger offers support of On Demand and On Premise Customers. 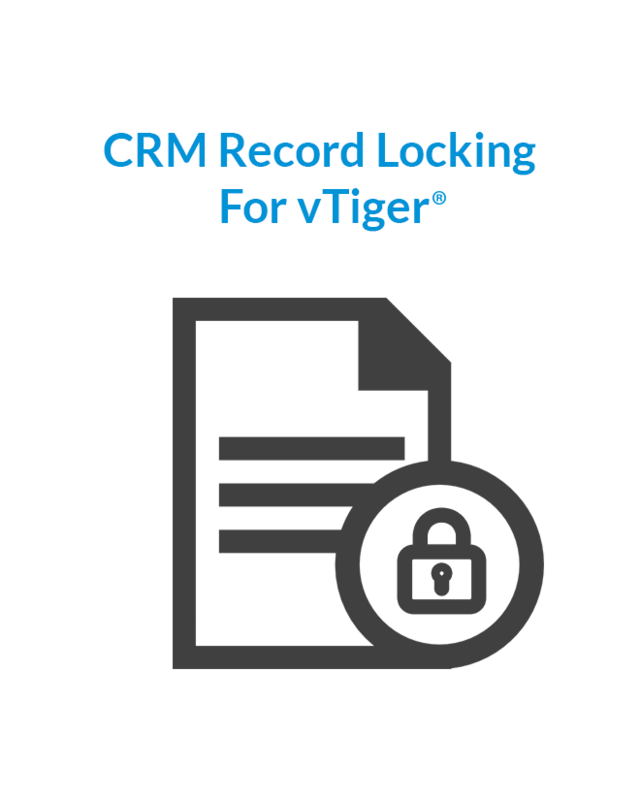 CRMTiger will implements and Hosts the vTiger® CRM Community edition on your premises/server. Our team will closely work with you to understand your requirements and implement and/or customize as needed. CRMTiger provide vTiger CRM Consultant having an average of 3 Years of hands on experience in their vTiger CRM Customization areas. We will provide you with a complete set of resume from our team of skilled consultant as and when needed. Our Experts will provide in-depth understanding of vTiger® system.Based on our experience and knowledge we categorized Training as below. vTiger® end-user training is designed for CRM users to understand basics of CRM. This program contributes significantly towards implementing CRM within an organization to succeed. CRM End-User Training Devided in Days. vTiger® CRM is an open source CRM software, used largely by medium and small-sized companies. vTiger CRM used to manage your organization wide CRM, for example sales force automation, marketing automation, procurement & fulfillment effectively. CRMTiger focused on integration services.CRMTiger worked on vTiger with OpenBOX integration for US based client.OpenBOX was the cloud service means implemented on “SaaS”. So any business changes to the company it cost a lot. So many company not eyes on Open Source CRM to reduce setup and implementation cost. CRMTiger has the team of expert working on many important integration work for many company. Quickbooks integration is one of them. Elastix has been widely used as a complete dialer system over the years which is open sourced and act as a perfect call center suite. companies engaged in market research or in event management often make the best use of Elastix role as a Predictive Dialer to propel their business. 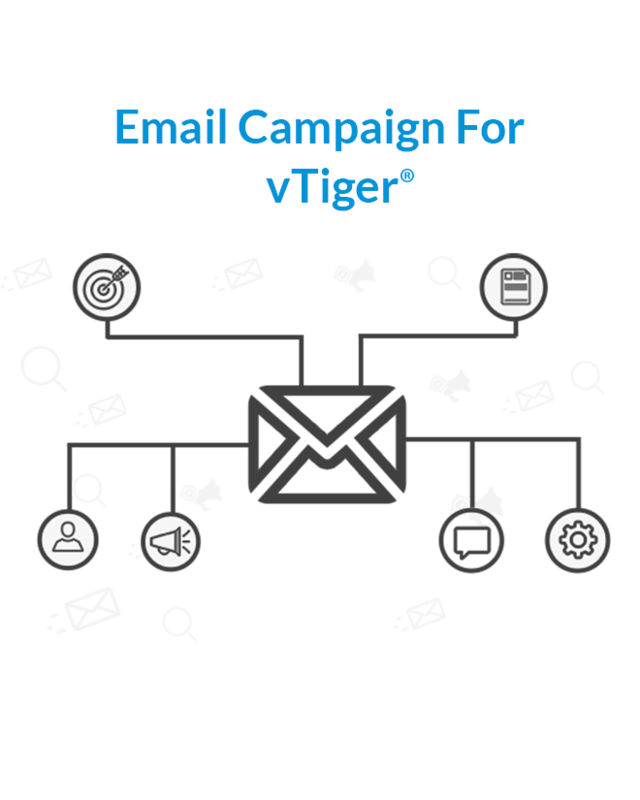 vTiger is the CRM Software which used by many call center company with Elastix to manage leads, send email to leads, send quotation, send invoice-marketing and many other purpose. FreePBX is a stand-alone software that acts as telephony system with rich graphical user interface. It is open source and ubiquitous application which is used by wide array of business units across the world as a corporate calling ecosystem. Sales Forecasting extension used for company to forecast sales for sales and marketing team. When company working with many leads in which some of the leads or prospect doesn’t seem to be weight high it means in order to group leads/prospect based on score to give high importance than profile scoring will be very useful. Pipeline View is to visualise & approach your workflows easily and helps you to manage. It covers module, e.g Opportunities, Leads, Contacts, Accounts, Tickets, Project, Project Task for which you can configure different set of fields to show on the Pipeline Record. Rather than having to go into the edit view, change level simply by dragging the whole Record to next level which is quicker. vTiger® CRM system support RTL themes for language like Hebrew,arabic etc.. Customer from Israel,Saudi arabia,Kuwait needs CRM system must be in RTL so they can easily navigate and use system as their localization. 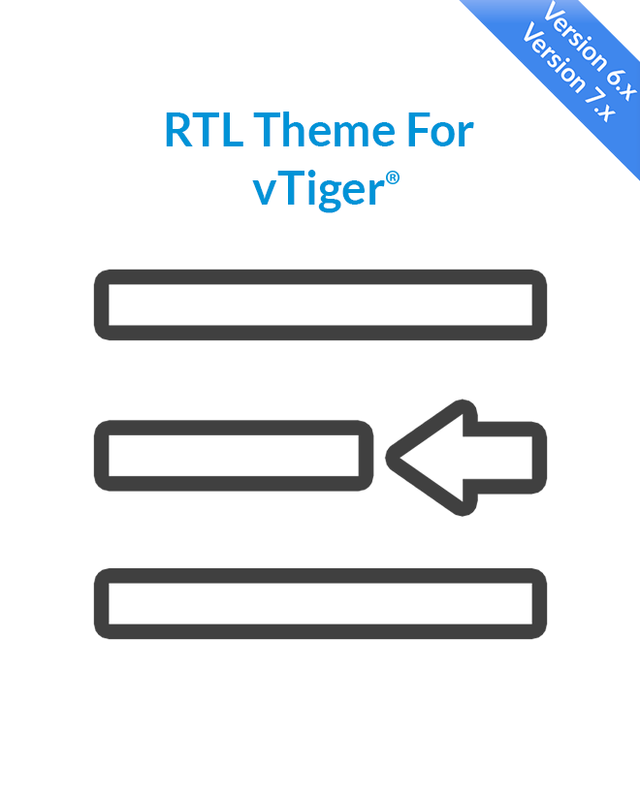 CRMTiger offers language pack along with RTL Themes. 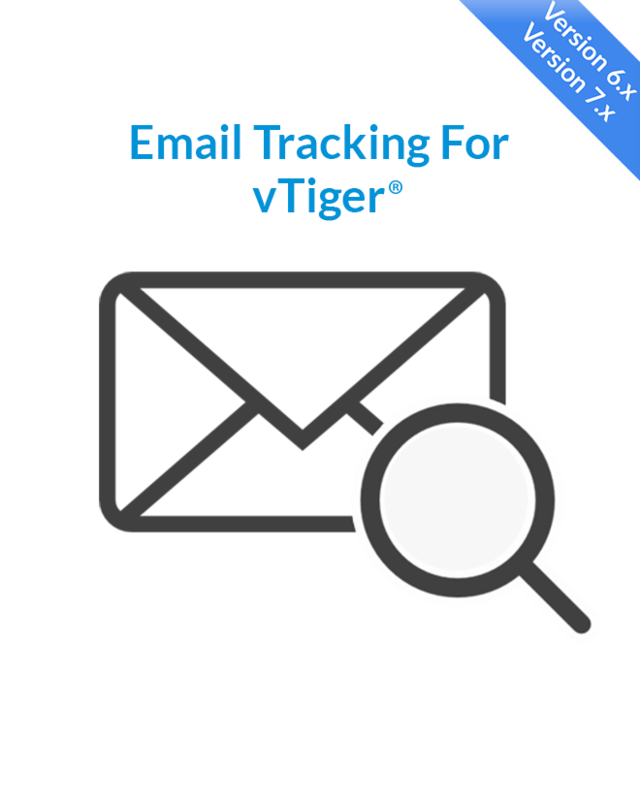 CRMTiger implemented vTiger® email tracking feature for all email send out from vTiger® campaign as well as email sent individually from contact or leads. a Report on unique Email open count by user. b Report on each link click count in email by user. 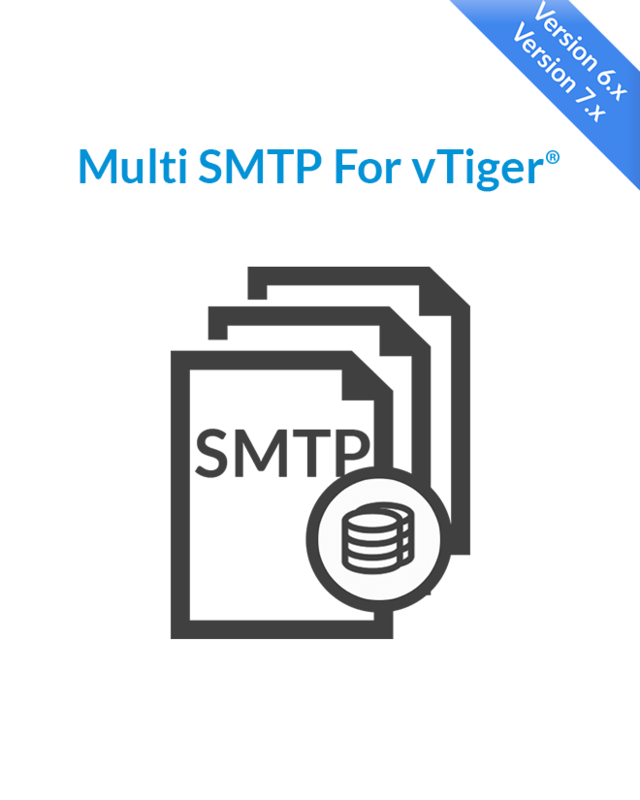 Setup SMTP for each user in vTiger®. This plugin-in used to setup one SMTP for each user so any email send from the user will send to the customer using SMTP set against the user. a This plugin consider email sent from workflow as well as from record to send against user SMTP. b There is also an option to disable SMTP against user as well. c Attached subscriber to list. CRMTiger created one of the most important feature of Google calendar synchronization which everyone uses on regular basis for business. We implemented bi-directional sync feature enables customer to sync all existing events and data between VTiger 6.x and Google calendar. CRMTiger implement twilio integration with vTiger® CRM. Twilio is a communications tool- it is used to add capabilities like voice, video, and messaging to different applications. 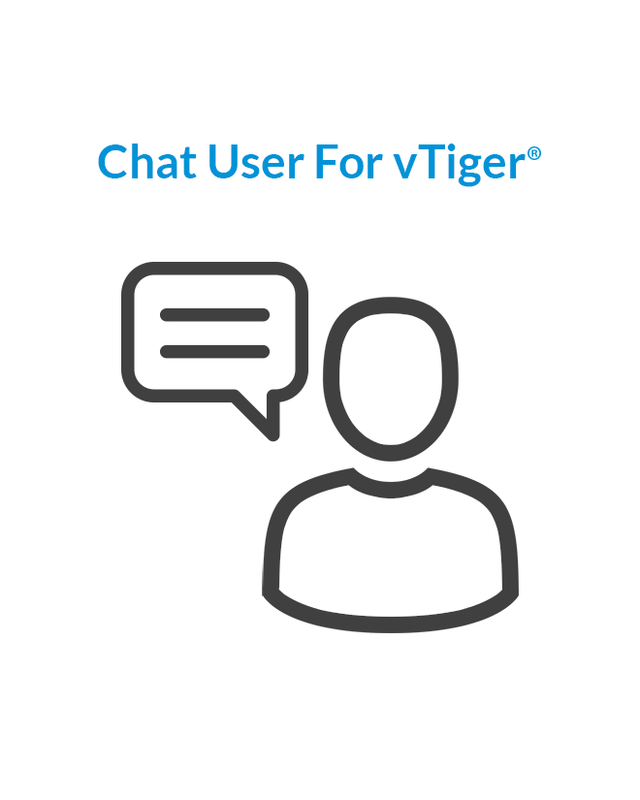 vTiger® Twilio integration opens up a new channel for CRM users to reach out to the customers. CRMTiger team created vTiger mobile app so sales rep of the company can access CRM from android mobile device. Mobile app has feature to store data in offline mode as well sync the real-time data. vTiger® has very nice telephony integration with various PBX software. 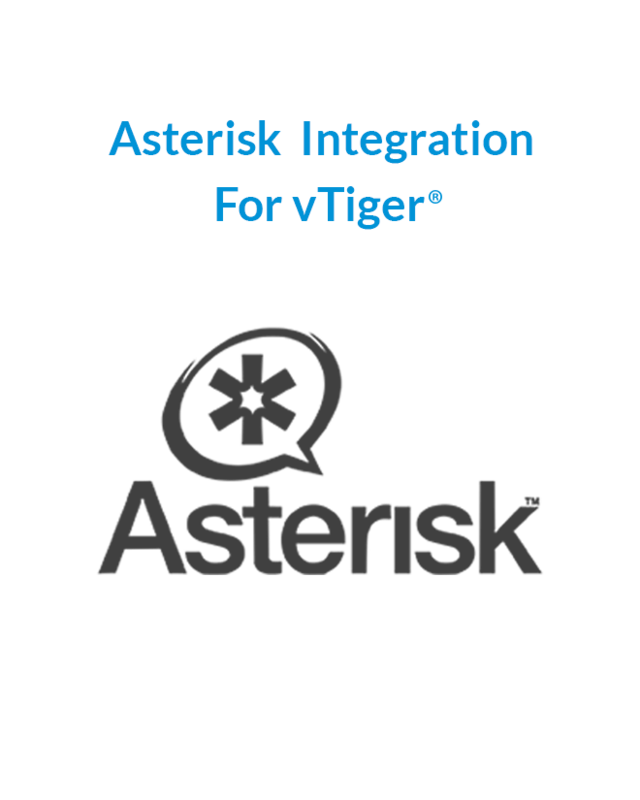 CRMTiger team implement vTiger®-Asterisk connector using Asterisk AMI Call. vTiger® CRM system has many users setup to do various task. sometime some records has been shared between the user to do concurrent task same time. This will cause the problem of loss of the data change by one user and modified by other user. CRMTiger build “IP Blocking” to gain access of CRM through specific IP. Online Payment and Digital signature important now a days for company to automate signature and payment processing flow. This will help company to manage everything centralized as well as get Quick and Easy updates. RecordCreator help to create record of another module from parent module with carry forward data. 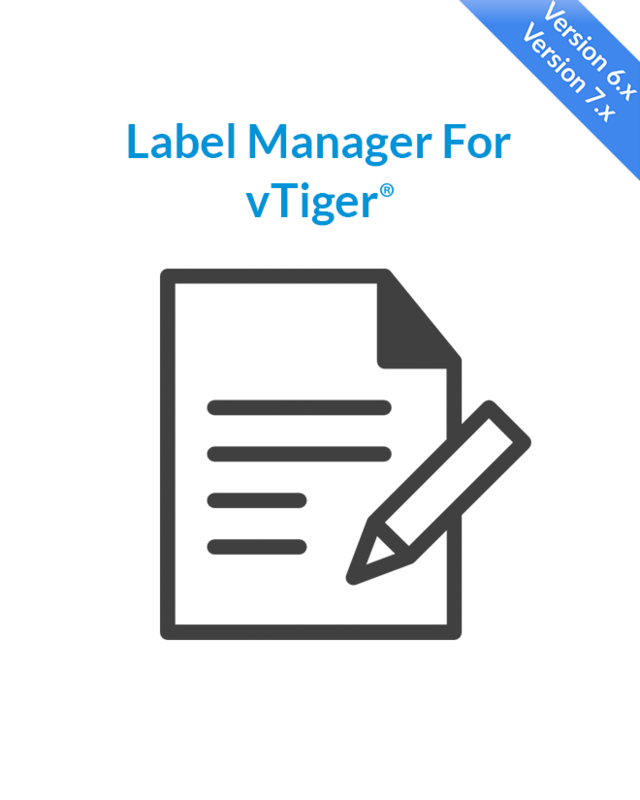 vTiger® Power Layout has been developed to assist management, system admin, users etc. to choose which fields and Blocks should be display on defined condition on fields, also choose visible or invisible fields and Blocks and auto populate fields for particular module depending on condition mentioned in the configuration. Find and Replace extension for vTiger®CRM helps user to find specific word and replace it with the word user wants to replace and applied to multiple records in list module listing screen. Create Relationship between two modules.Vtiger is flexible to create One-to-One, One-to-Many, Many-to-One, and Many-Many relationships between the modules. 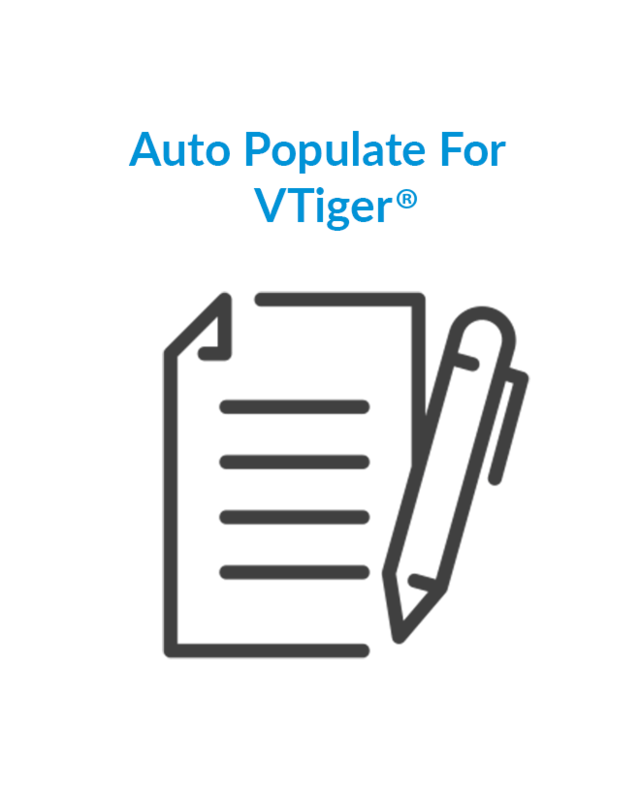 Auto Populate for vTiger® is productivity tool. extension use for repetitive data entry when creating related records. Create a contact from within Organization and no need to enter Phone, Email, Address, Website etc. CRMTiger implemented vTiger® multitenant application feature so any company implement CRM and sell as subscription based CRM to the end user. 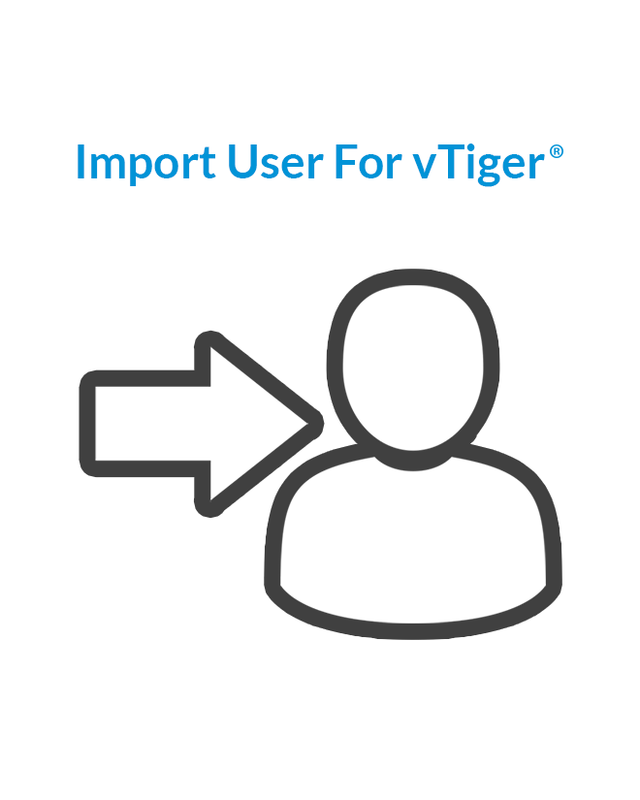 vTiger® Import User Feature From Spreadsheet. “Time Saving” Customization. Creating multiple users in CRM by importing CSV file. a All employees (users) accounts are created. b All users will receive emails with link to set password. c Automatic duplicate record handling (optional). d Erroneous entries/data reported automatically, in case input fields are not as per format. 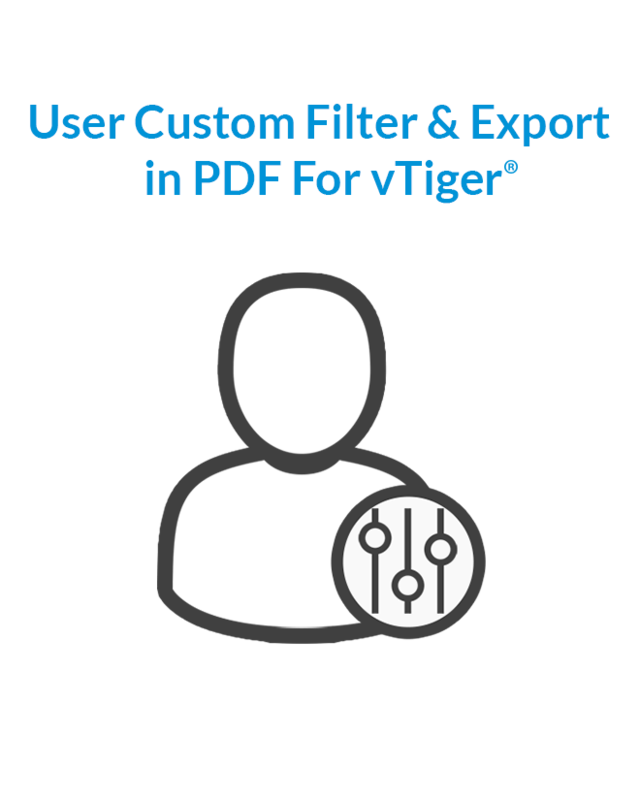 New and Very important feature CRMTiger implement in vTiger® 6.0.
a In vTiger 6.0 users can attach multiple files to one document. b The purpose of this feature is to save time and hassle uploading Documents to vTiger®CRM. 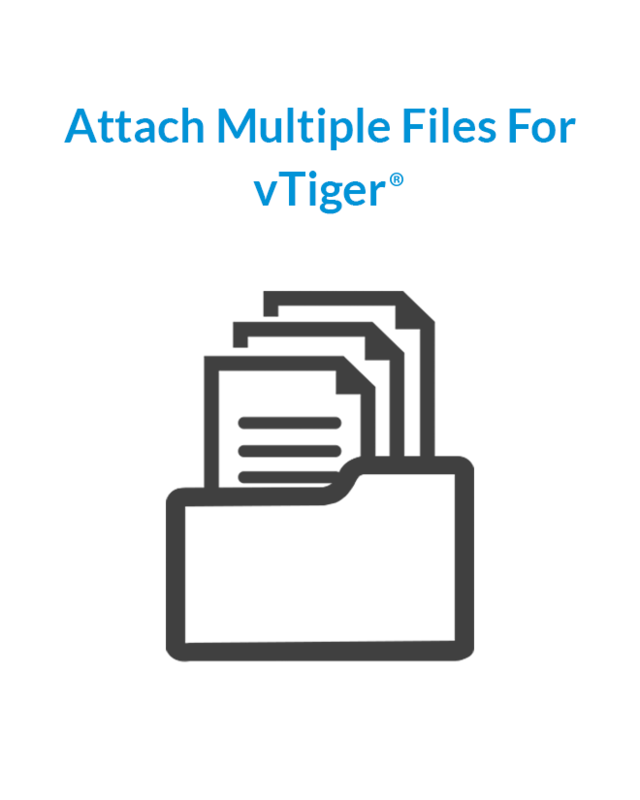 c This feature will allow you to attach Multiple Files to one document record in vTiger® CRM. d Ultimately it will helpful if you are scanning a lot of documents and you can able to attach them all to one single record rather than creating a separate document record in vTiger® CRM. b All default custom filter features including search,public filter etc..
Two Dimensional widget extension – displays statistical data based on a specified custom filter, in a configurable table format. vTiger® CRM extensions to import data in child(secondary) module with the relationship to the primary module. User can select any of the field to map with related field of primary module. Related module level search in vTiger® useful for user to quickly find records based on selected field, similar to search on regular listing view of the module. Global Search is one of the important extension for vTiger users to search on any selected fields in Fast and Easy way. This will increase efficiency of Sales & Marketing team to find record easily. Software is built upon our years of experience and earned expertise in CRM and Product Designing. Along with development for Real Estate clients we gained domain knowledge of Realty and the result was a powerful software for Realtors. A Manage each Court Case association with Clients. C Customer can see Judgment of each case through email or SMS notification. D Customer portal for customer to see case status, case judgement notes, Case document etc..
CRMTiger's call center services to provide standardized,streamlined,uniform services for consumers making it an effective approach for interacting with their customers.We will provide services of low cost,experience improvement in productivity and quality. Call handling services that includes customer support,operator services,multilingual customer support, directory assistance,credit services,inbound and outbound telemarketing,card services, interactive voice response,and web-based services. CRMTiger Healthcare organizations across all segments can do better management using our products, Streamline patient record access and reduce processing errors Enable throughout the life cycle of the patient record Reduce operational costs by alleviating patient dependence on administrative resources Increase responsiveness to patients through online education and counseling. Many companies, big and small, compete against each other and at the same time collaborate in a restricted space. Requiring immediate and proactive adaptability in operations ,Travel & Tourism industry is constantly changing its business environment. We gained Spa-Salon-Wellness business insights while working for many of them from different locations across the world. Our SPA CRM solution is extract of our years of experience working on this domain. SPA CRM is offered as a total package with flexibility to match your custom demands. CRMTiger launches CRM for Physician or Clinics to help them manage clinical operations, medications and relationship with patients. If you are an independent doctor running your own practice at small or large scale, this is both perfect and economic solution. With this Medical field’s CRM system in place, you carry entire back-office/clinic and data wherever you are in the world. with Auto Populate for vTiger®, you can configure mapping of fields from one module to another. It works with all standard & custom modules and fields. Our business analysts and experts together offer best consultation based on your business needs and suggest right customization and implementation. We offer vTiger Technical & functional training to individual or company to understand, implement and customize CRM. We love to share information and our experience on the development we do. We frequently publish about our many customisation examples and helpful tips on our Blog. We offer hosted CRM to get started fast. This would help you to start using CRM immediately. This is the best option as any of your future customization needs can be catered within our hosted CRM easily at low cost.